The 2012 Outlook for women-owned businesses is positive, based on responses to the Gazelle Index national survey. The Gazelle Index is the first ever quarterly survey of small-business owners that provides up-to-date, time sensitive business information and its results are broken down by firms whose owners are men, women, Hispanics/Latino, African American/black, non-minority/white, and white. The survey includes 631 responses from randomly selected CEOs, who operated businesses with 10 to 100 employees. The results have a margin of error of 5% (plus or minus); 39% of the respondents operated firms owned by women. 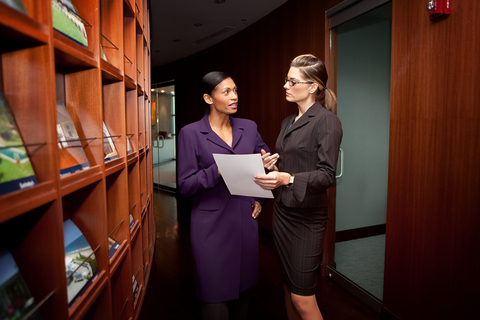 Hiring Plans: Women CEOs plan to increase hiring in 2012. Based on the national survey, 26.1% of women-owned businesses will increase hiring during the first quarter of 2012 while only 13.3% will decrease hiring. Earlier, the Gazelle Index published articles on the outlook for businesses owned by African-Americans/blacks and businesses owned by Hispanic/Latinos. Regional Hiring: Regionally, 47.6% of women-owned businesses are located in the South, 21.4% are located in the West, 18.3% are located in the Midwest and 12.7% are located in the Northeast. Hiring by women-owned businesses will be strongest in the South, where 29.0% of businesses intend to add workers while only 9.3% will cut payrolls. Secondly, hiring will be strong in the Midwest; 28.6% will add workers while 14.3% will cut. Robust hiring in the South and Midwest will not be complimented by hiring in the Northeast or West. In particular, 20.7% of women-owned businesses in the North East will add workers while 17.2% will cut back. Because the difference is within the 5% margin of error, the results suggest that there will not be any net addition to payrolls or women-owned businesses in this region. The same is true for businesses in the West; 20.8% will add workers while 18.8% will cut back. Hiring Cuts Caused by the Recession: Employment in women-owned businesses was hit hardest by the recession in the South and North East. In the South, 53.9% of businesses have cut employees since the recession and 23.1% reduced their workforce by more than 50%. In the Northeast, 48.2% of women-owned businesses cut workers and 24.1% did so by more than 50%. The cuts in employment in the Midwest and in the West were not as severe. In the Midwest 40.5% of women-owned businesses cut employees and 11.9%, while in the west 44.9% of women-owned businesses reduced their workforce and 18.4% did so by more than 50%. Industry Distribution: The main industries for women-owned businesses are retail trades, 15.7%; health care and education, 14.4%; management and administrative services, 11.8%; construction, 10.9%; manufacturing, 9.6%; accommodations and food services, 9.2%; and professional and technical services, 8.3%. Future Industry Hiring: Future hiring in women-owned businesses will be strong across a wide range of industries, including the following: information technology 63.6% will add and no employees indicated that they will cut back, while 27.3% indicated that employment will remain the same; wholesale trades, 16.7% will add while 5.6% will cut back; accommodations and food services, 23.8% will add employees while only 14.3% will cut back; health care and education, 21.2% will add and 12.1% will cut back; management and administrative services, 48.1% will add while 22.2% will cut back, professional and technical services 26.3% will add while 5.3% will cut back; and construction, 28.0% will add while 16% will cut back. Among women-owned businesses, the only industry where CEOs indicated they will cut more workers than they will add is in manufacturing.